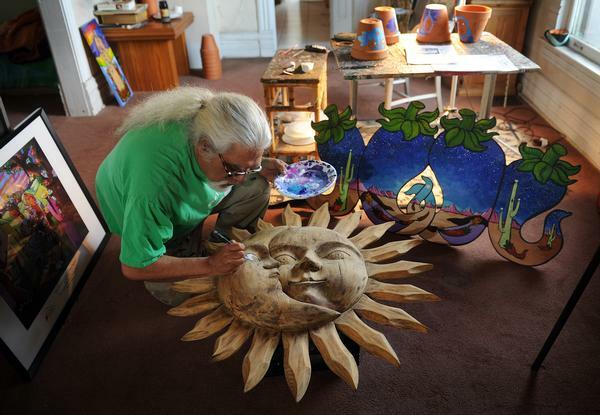 The prolific Dan Luna, a local Denver artist, is the feature of a retrospective exhibit now showing at the Museo De Las Americas in the Santa Fe Arts district. Despite being burdened with a rare eye disease, this talented artist has managed to become a Denver fixture, known for his colorful, often humorous, paintings. His art adorns many local restaurants and coffee shops in the city, and hundreds of people’s personal collections. The show runs until May 28, at 861 Santa Fe Drive. The Museo De Las Americas is open Tuesday through Friday 10am-5pm, and weekends from 12pm-5pm. There will be a conversation with Daniel Luna on April 19 from 4:30-6:30pm.